Pittsburg. Grinnell. Minneapolis. This summer has me exploring new places and collecting more state spoons. Traveling is something I love. Experiencing new places, trying local foods, and new scenery. That’s just what I did this past weekend in one of the coolest small towns in America. 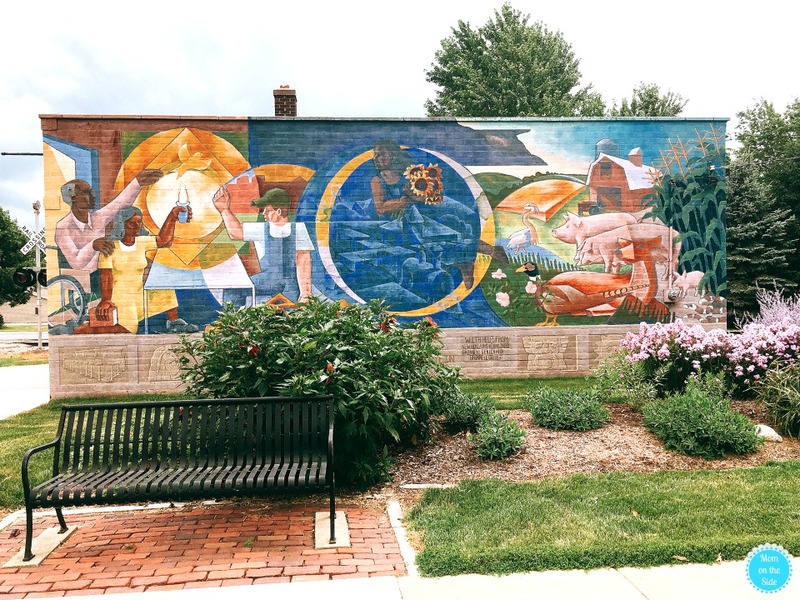 Grinnell, Iowa. I packed up my suitcase, grabbed my self-care travel bag, loaded up on snacks, and hit Grinnell! As much as my soul feeds off traveling, I need my self-care travel bag to keep me adventurous because it can be exhausting. Hours in the car or on the plane. Hours on your feet exploring, especially if you love hunting down murals when you travel like me. 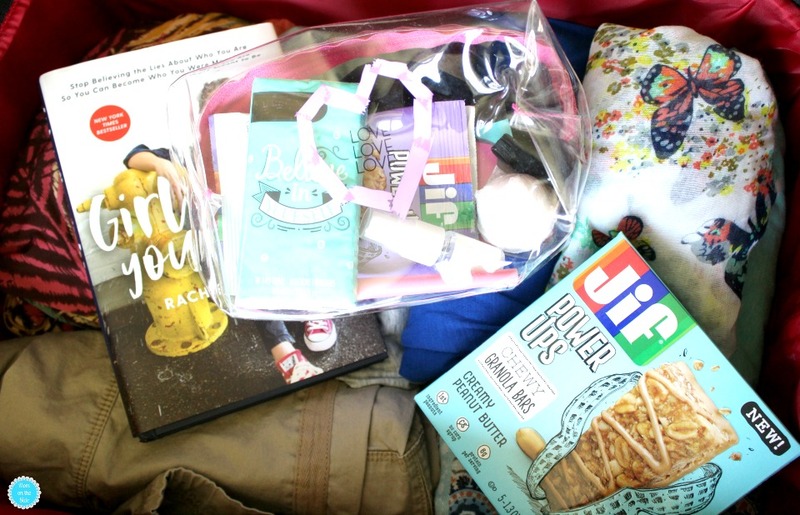 Here’s a peek into what I pack and what every mom needs in a self-care travel bag to help you make the most of your adventures. 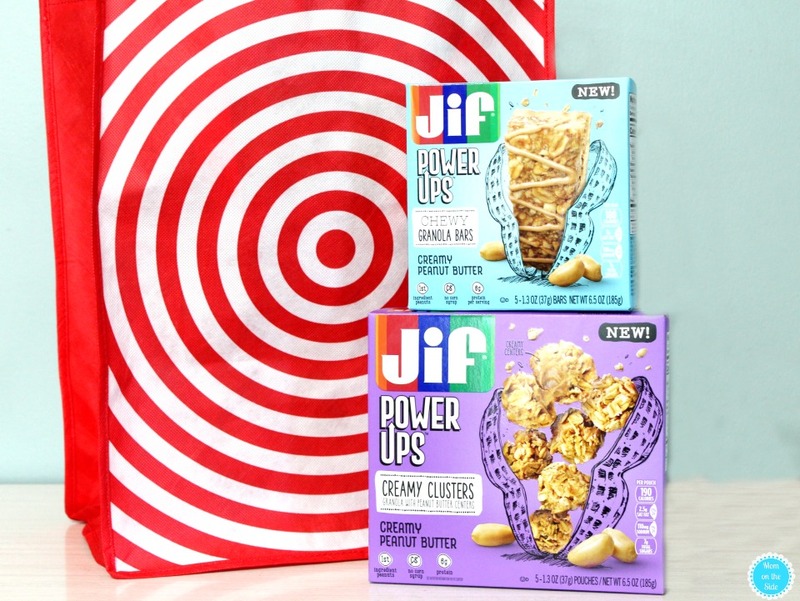 You can quickly see that Jif® Power Ups™ is one of those things. A portable snack that contains ingredients I feel good about eating AND feeding to my kids. 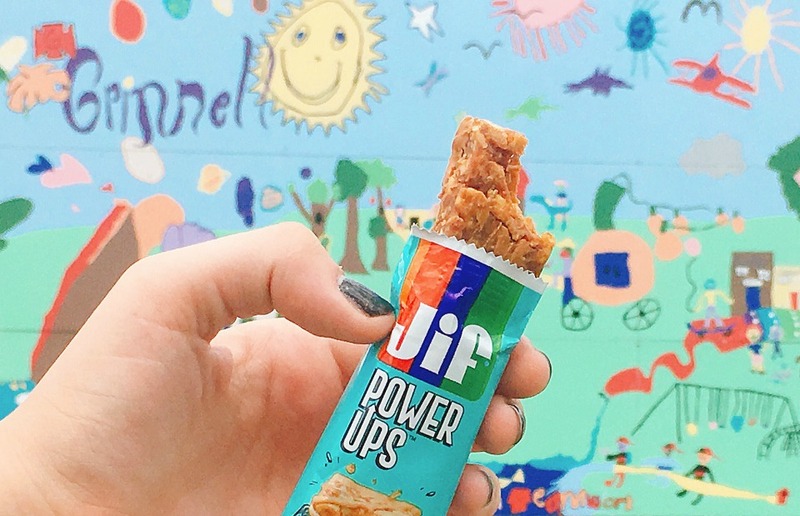 JIF is the #1 brand of peanut butter in the USA (based on IRI Sales) and always in our cupboard for sandwiches, and it’s becoming one of our go-to snacks right now too. One time while checking into a hotel I noticed adorable bath care kits for sale. Rose petals, bubble bath, and candles. 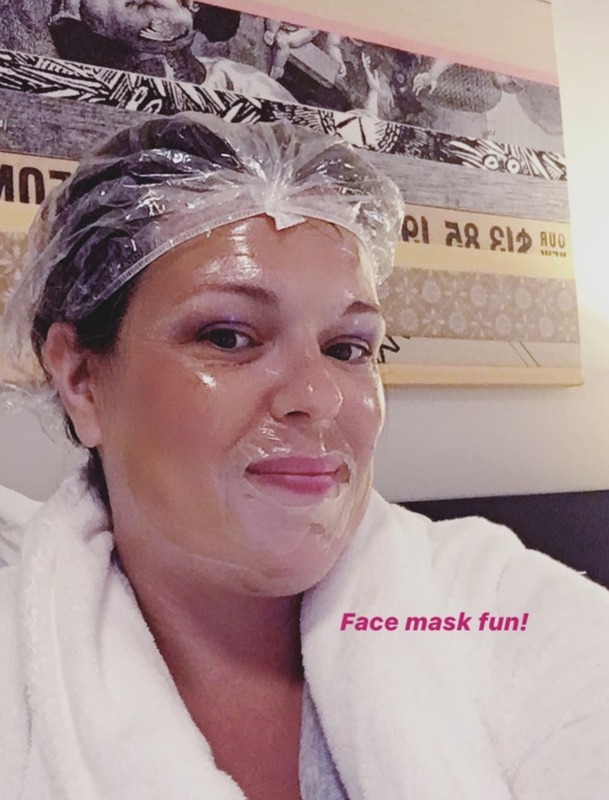 After seeing that, I make sure my self-care travel bag includes bath bombs and face masks (if you follow my InstaStories you saw my face mask fun in action over the weekend!). A soothing soak in the tub with a favorite scent is something to look forward to after a busy day traversing through a new city. 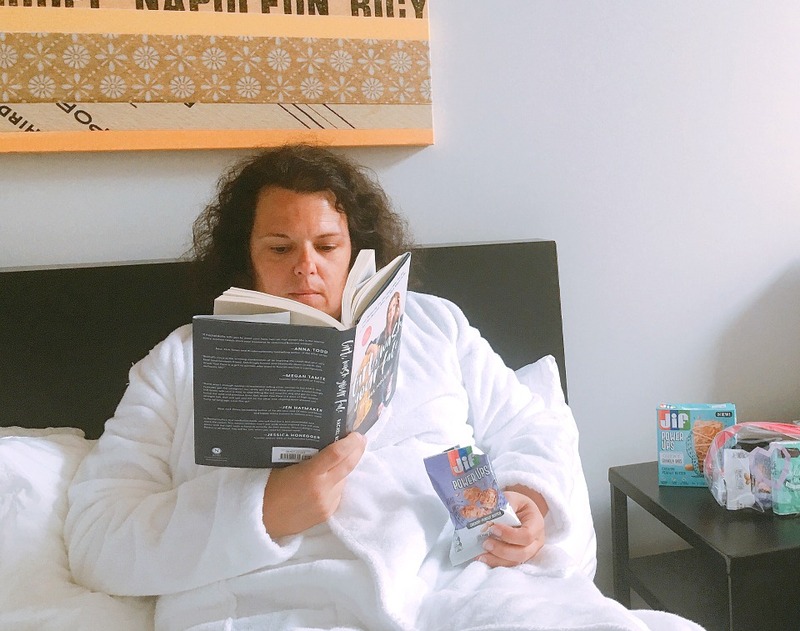 A small notebook and pin, as well as something to read, are musts in my self-care travel bag. Sometimes things I see on vacation trigger ideas and other times I just need to brain dump at the end of a busy day. Other times I like to get snuggled up on top of a pillowtop mattress and flip through the pages of a good book. Even with an itinerary, there are times I get hungry before a scheduled meal. 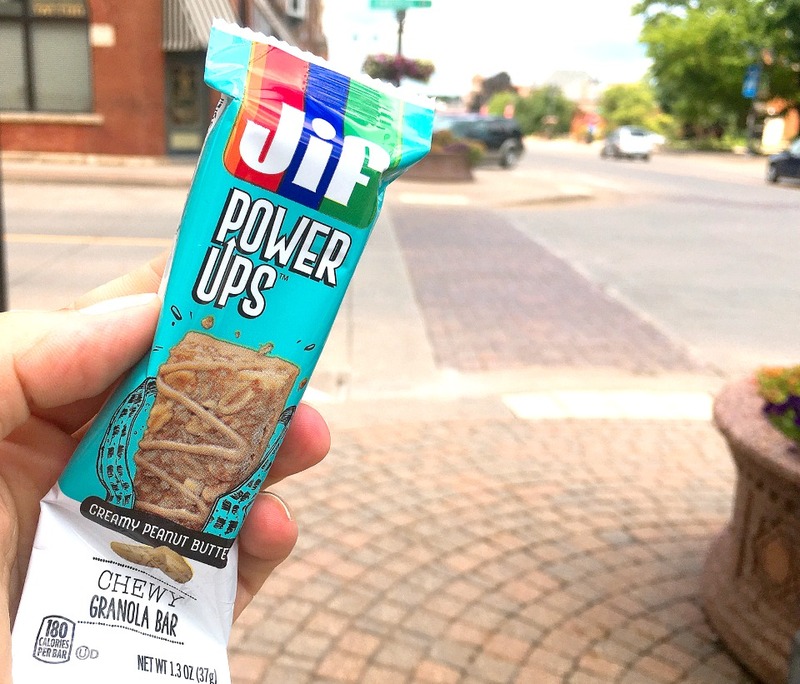 Keeping snacks like those Jif Power Ups™ Creamy Peanut Butter Chewy Granola Bars in my self-care travel bag helps me avoid getting grumpy out of hunger. They are available in Chewy Granola Bars and Creamy Clusters with peanuts as the #1 ingredient. When I visited Grinnell this past weekend I tossed into my suitcase a box of the granola bars and Jif Power Ups™ Creamy Peanut Butter Creamy Clusters that I picked up at Target. The unique texture and taste of the chewy granola bars make them great for an on-the-go breakfast or snack. The creamy clusters quickly became a favorite of my tween son’s. He was thrilled I still had two bags left after my getaway. The creamy center explodes among the balance of crunchy and chewy, and the touch of cinnamon makes them SO tasty. They both helped keep me going while I explored the pedestrian-friendly city full of art and local shops. 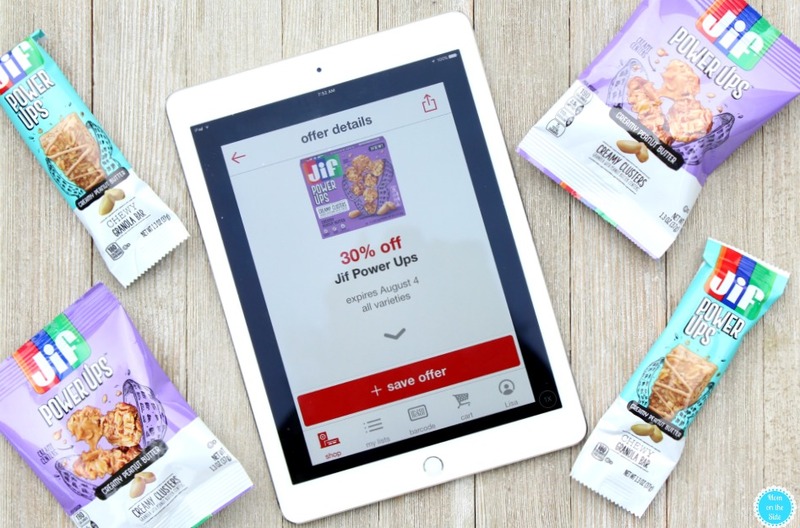 With the current Target Cartwheel Offer for 30% off any Jif Power Ups™ snack through August 4th, I’m stocking up for more road trips and back to school lunches. I know, I know but my kids go back next month and a friend posted that her kids go back today, ugh! 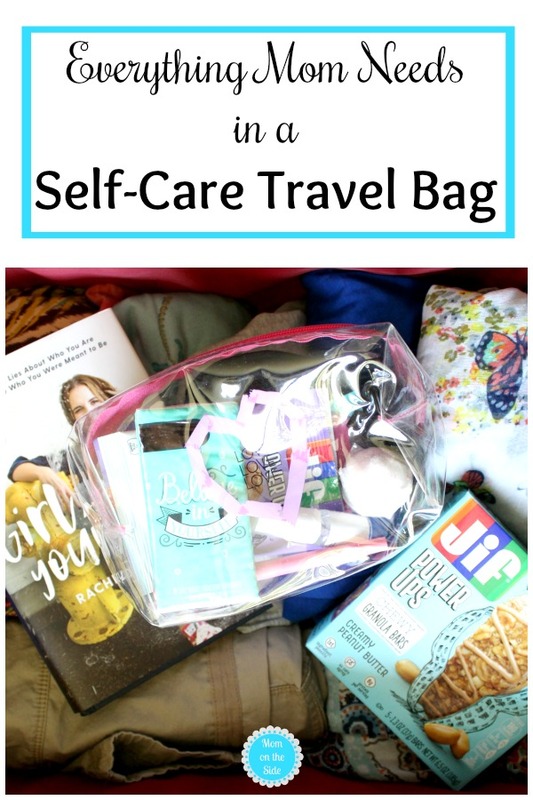 If you have more travels planned for summer, make sure you pack yourself a self-care travel bag to help make the most of the adventures!